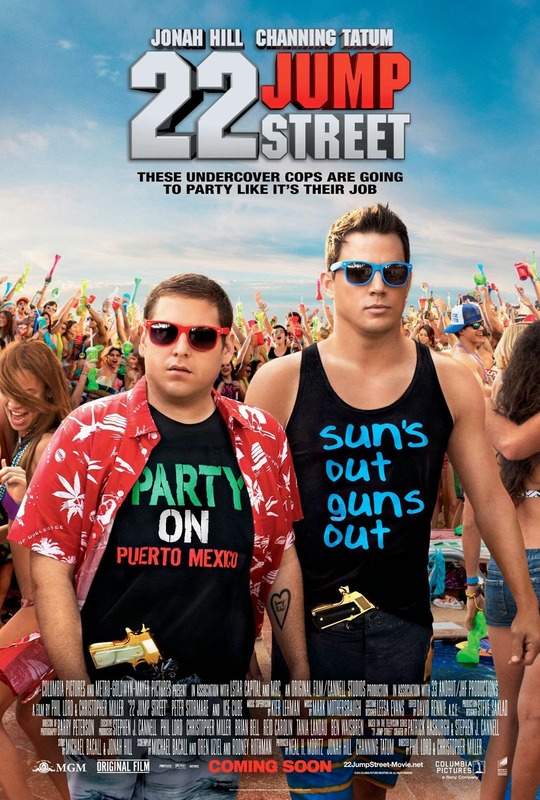 22 Jump Street starts from the time where 21 Jump Street left the audiences asking for more. This time the fun and laughter happens at the college. There are a lot of moments in the movie which will make you laugh even if you think of it later after watching the movie. The movie is all about the college life and reminds of all the time during the first year of university. Joining a lot of clubs and making friends is the main agenda during that time. I really loved and relived my college days while watching this movie. As per the series, there is always crime mystery that's attached to the movie. This time they had to find someone who is selling dope and a solving the murder of a girl is the whole theme of the movie. Jonah Hill has awesome comic timing and has taken it much further in the last fight sequences. Channing Tatum played his role perfectly well of a budding athlete in college team while working on the murder case. There has been a lot of brother-ship which gets developed between the main characters with other characters of the movie. Amber Stevens looks good in the movie and has a spark in her eyes. This is definitely one of the movies which will make your weekend movie experience full of joy and laughter. I really wants to go again to enjoy living my college life and the expressions of Hill during all those scenes. The movie has a nice surprise which will provide you with all the value for money which you spend on this movie. Go for it immediately as it hits the theaters this weekend. Movie is releasing in Ster Kinekor on 20th June 2014. Book your tickets now. More info on twitter and facebook.